Self-help books aren’t always the easiest of reads. But don’t give up on your journey of self-discovery just because an author gets too technical, too wordy or too spiritual for your taste. Keep reading until you find an author whose style resonates with you! There’s nothing wrong with getting lost in a good piece of fiction, but take a little time this summer to discover something new about you! I highly recommend these four books, but as always, take what you like and leave the rest. Inspiring stories for welcoming life’s difficulties. Mindfulness, compassion, perfectionism, decision-making, sickness and death — this book covers it all with heartwarming tales and humor. The collection of easy to read short stories (most are only a couple of pages long) helped me get through some hard times and gave me a new perspective when I needed it the most. It will remain a cornerstone in my personal self-help library waiting for the next bump (or mountain!) that appears in my road. A self-described Japanese neat freak shares her organizational method. I loved this book! Yes, it is about putting your house in order, but for those with an open mind it is so much more. Part organization, part feng shui, and part life lesson, this book is not only for those who want their home to be free of clutter, but for those who want to gain confidence in the decision-making process, raise their happy quotient, surround themselves with positive energy and let go of the past. I found the whole process (and be forewarned, this is not an undertaking for an idle afternoon) wholly enlightening and empowering. Awaken the body, mind and heart through yoga. Although this book provides some practical tips for the new yogi — like how to establish a daily practice, how to choose a teacher, when to push and when to back off — it is written for those looking to integrate the philosophy of yoga into their everyday life. The authors’ easy-to-relate-to style and personal anecdotes helped me understand the essence behind the ancient art form without getting too woo-woo. For those attracted to the non-physical side of yoga, this is a great place to start on your journey of spiritual development. 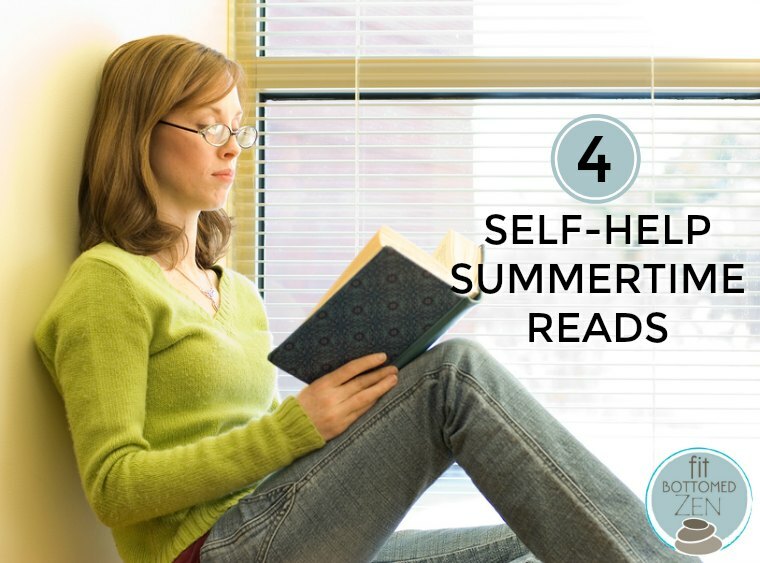 Because all self-help reads don’t have to be, you know, deep! First I should tell you straight out that my copy of this book is autographed, and yes I do have a crush on Clinton Kelly. Seriously how could you not? That aside, you know you are already fabulous on the inside, but let your outsides shine with this hilarious compilation of guidelines intended to help you flawlessly navigate life. It’s got wardrobe tips (of course, it’s Clinton Kelly! ), rules of etiquette, common grammar snafus and important stuff like how to mix a martini like a pro and a short compendium of recipes that anyone can master. Have fun with it.